"For then are they truly monastics when they live by the labor of their hands." The Rule of Saint Benedict, chapter 48. 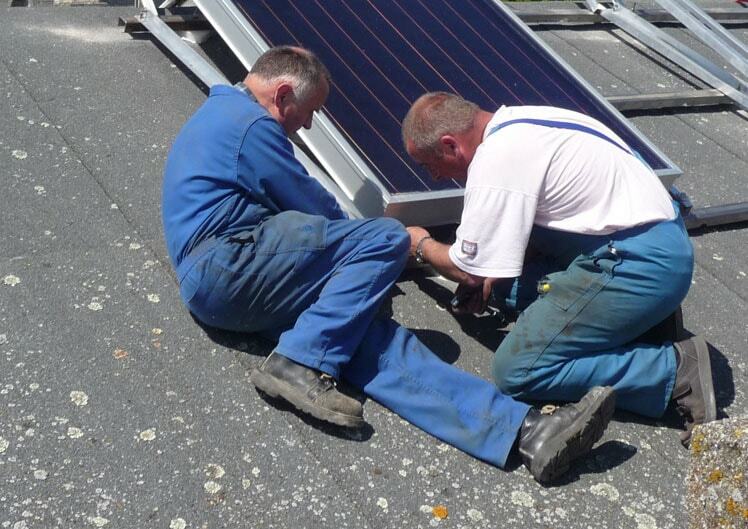 Work is an inherent part of monastic life, in the same way as it is for all men who have to work to support themselves and to live with dignity. 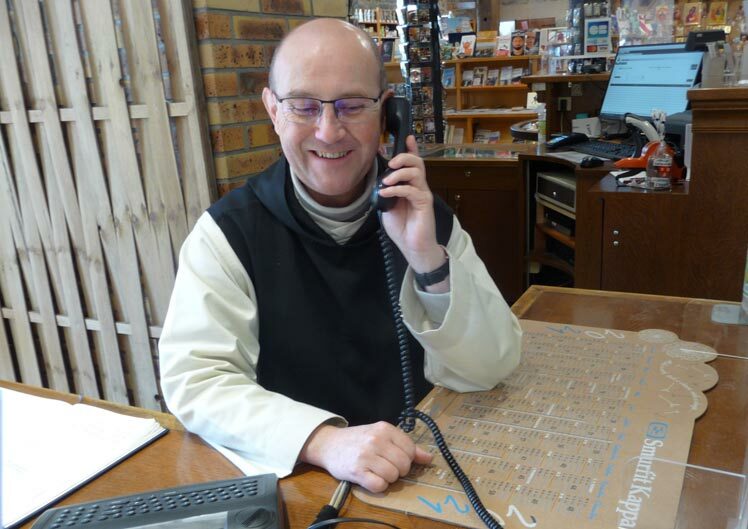 We know how tragic it is for those who are unemployed, on the dole… But if work has an important place in the monk’s everyday life, it is not the aim of monastic life. 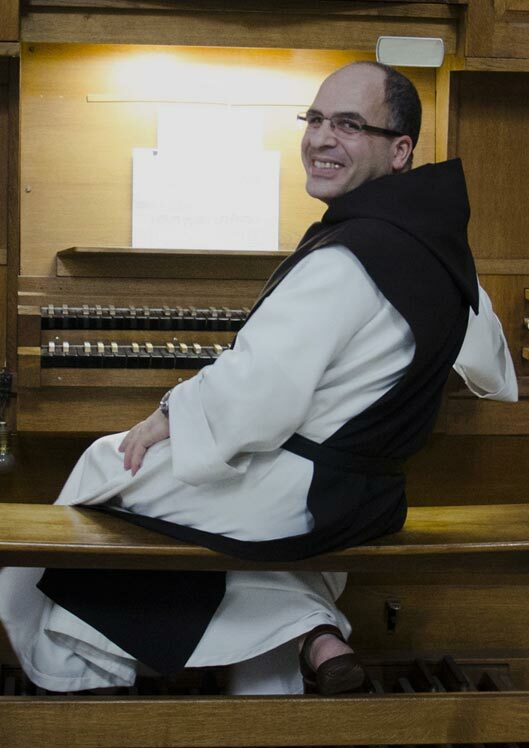 The first work of the monk is his "monastic occupation". His job, his calling which he chooses of his own free will when he comes to the monastery, is to be a monk. The search for and the praise of God constitute his true monastic labour. 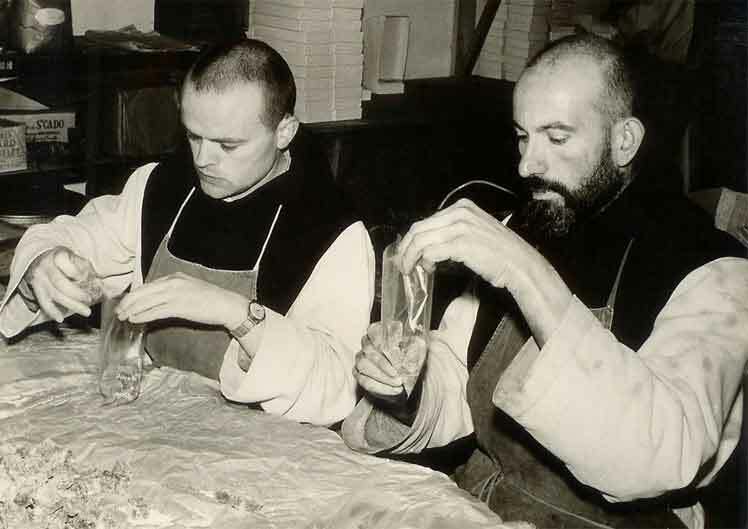 However, if services in the choir (Opus Dei) take up a large part of his day, work, and especially manual work, is an important dimension of cistercian monastic life. According to the Rule of Saint Benedict and to the whole of monastic tradition, you cannot separate spiritual good from the material side of monastic life. And it is for the Father Abbot, assisted by those in charge of the economic management of the monastery, to share the tasks and the community services between all, to give each brother an occupation taking into account two very practical realities : the needs of the community and how to earn an income and on the other hand, the abilities and the natural gifts of the brothers. 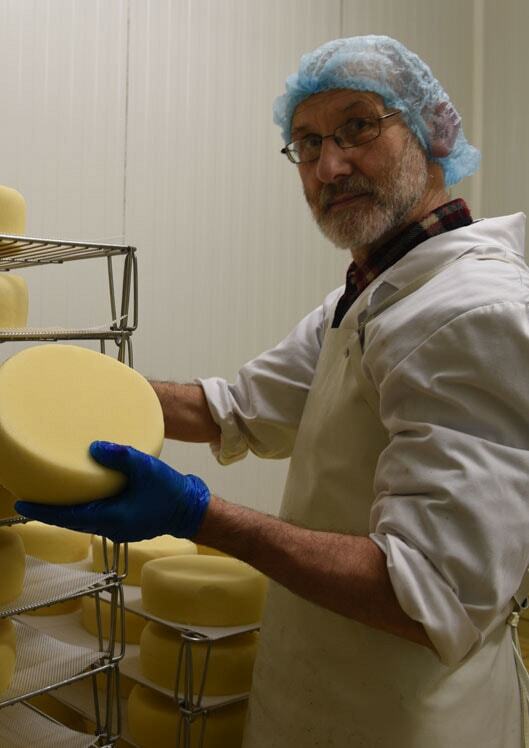 Others have jobs which are directly linked to the business side of the monastery with the cheese workshop, the fruit jelly workshop and the monastery shop where particular attention is paid to the quality of products which have the added value of MONASTIC ® trademark. At Timadeuc, like in the other monasteries, monks try to reconcile their monastic life and their work in the spirit of the Rule of Saint Benedict. 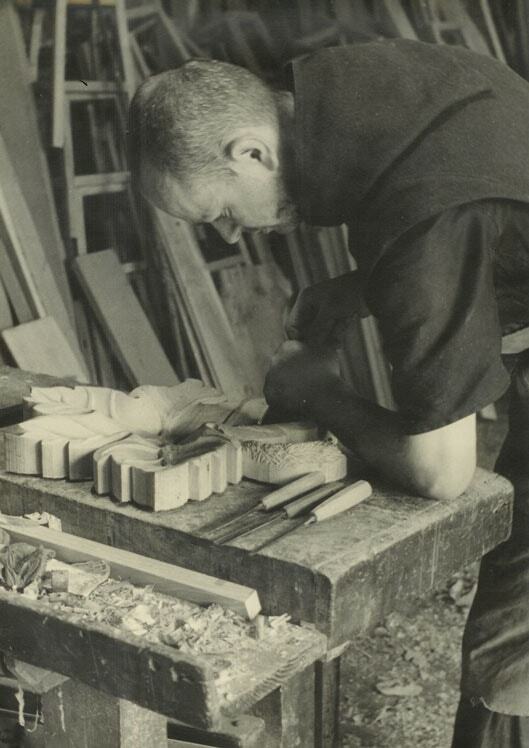 "Ora & labora" pray and work (the motto of the Benedictine Order) very well describes the balance of the monastic day between prayer and work, work which tends to become prayer. The development itself of their activity (cutting down on production at times when they are short of hands) always aims at preserving their first calling while supporting themselves in order to practise charity. 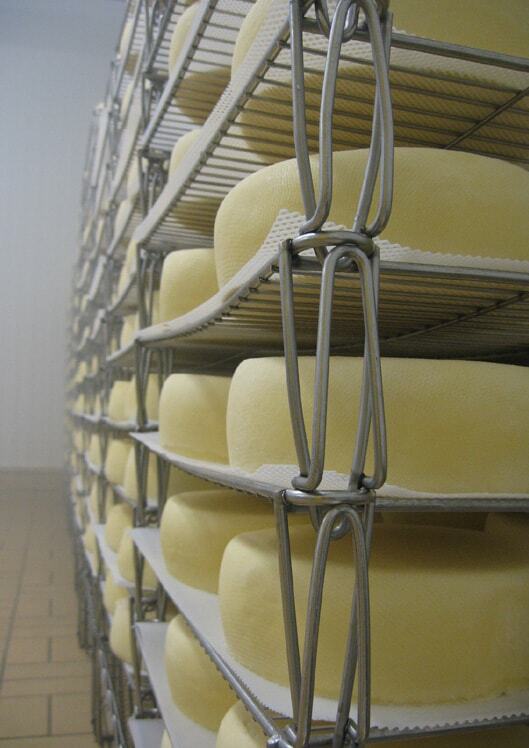 The cheese of Timadeuc Abbey was virtually born with the monastery. 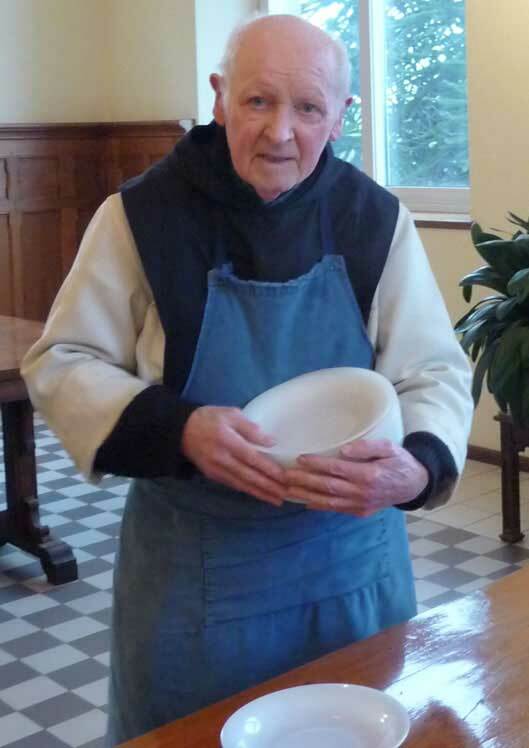 After settling in in 1841, the monks set about making cheese with the milk from their herd for their own consumption and that of their guests. 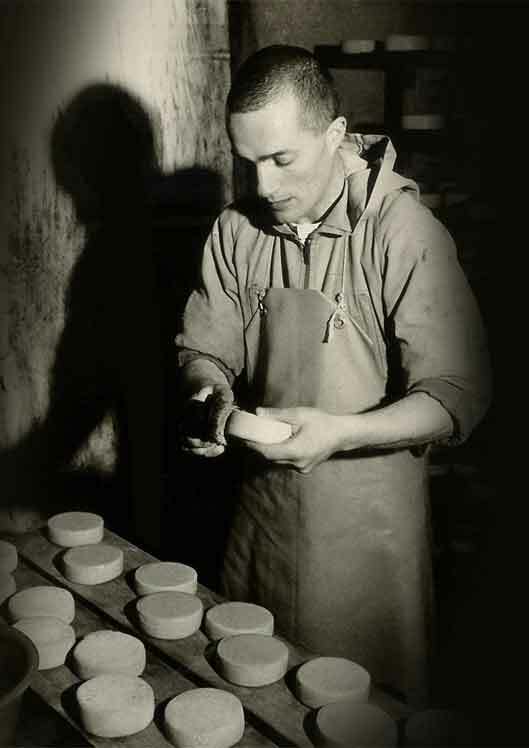 They simply put into practice the manufacturing process they had learnt from their brothers at Port-du-Salut Abbey, the cradle of the famous genuine "Port-Salut" cheese in Mayenne. The milk which was not converted into cheese was used to feed the pigs. The "TRAPPE DE TIMADEUC" is a pressed uncooked cheese of the "Port-Salut" type. At the end of 2003, our Cistercian sisters from "Notre-Dame d'Espérance" at Echourgnac in Dordogne were no longer able to satisfy the ever increasing demand from their clients. They suggested we share a recipe they had perfected in 1999 : a small pressed cheese matured with walnut liquor. The "TIMANOIX" is thus the latest cheese from our workshop. let them practise their crafts with all humility." 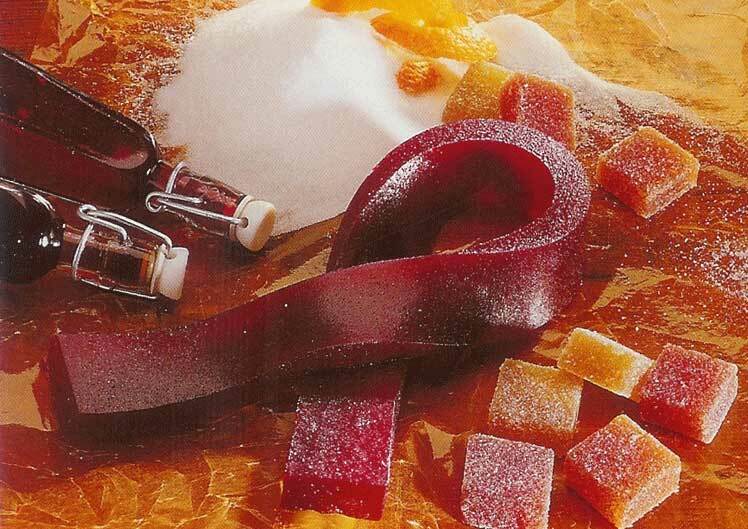 For more than forty years, the monks have been making fruit jellies, using traditional recipes. "fondant" : fruit jellies, after adding natural fruit oils. they also make jellies from natural fruits : quinces, blackcurrants, apples and raspberries without any artificial flavouring or colouring.